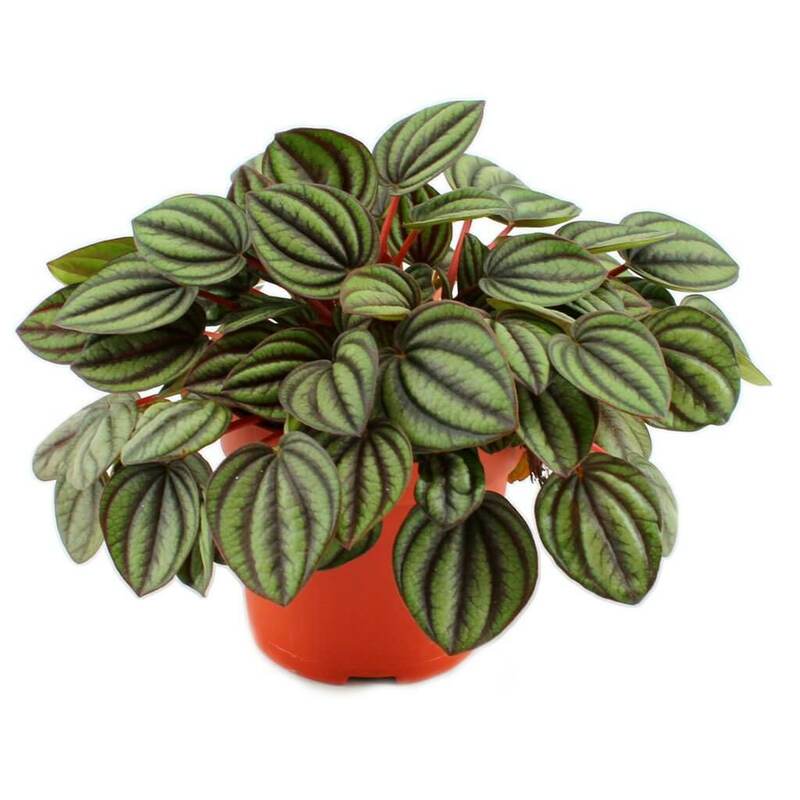 Peperomia Piccolo Banda is an ornamental indoor house plant. It has thick, light silver-green leaves that have dark green, sometimes purple-tinged, veining down their length, on red fleshy stems. Stems are a fleshy, succulent red. Green spikes of tiny flowers appear on long, thin, red stalks and waft tantalizingly above the plant. It prefers ideal temperatures of 65ºF – 75ºF / 18-24ºC and no lower than 59ºF / 15ºC. It can be easily propagated by stem tip cuttings (Take cuttings in spring or early summer), leaf cuttings and plant division. 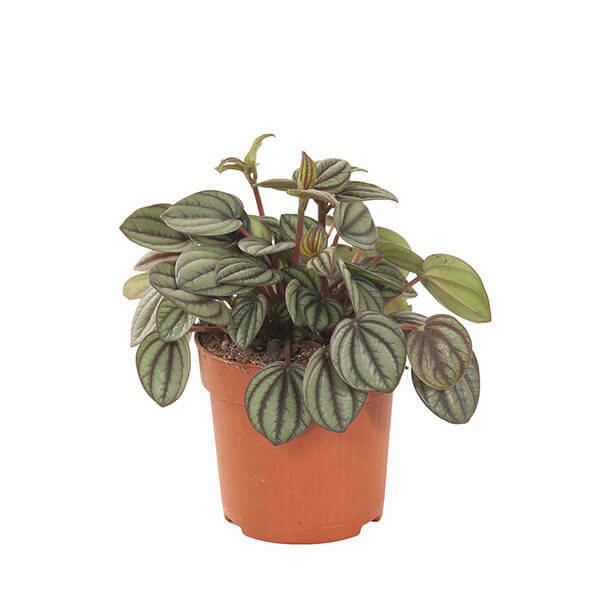 Peperomia Piccolo Banda Plants can be pruned anywhere along the stem. If stems and leaves begin overgrowing you can pinch out the top of certain stems to stop growth, otherwise, they begin to grow spindly and out of shape in appearance. New growth develops from the nodes just below the cut in the stem. There is no serious pest or disease problems. Watch for mealybugs, spider mites, and whitefly. Leaf spots may occur. Susceptible to root rot if soils are kept too moist.